Please click on each links for the recipes and festival specials prepared for each occasion. 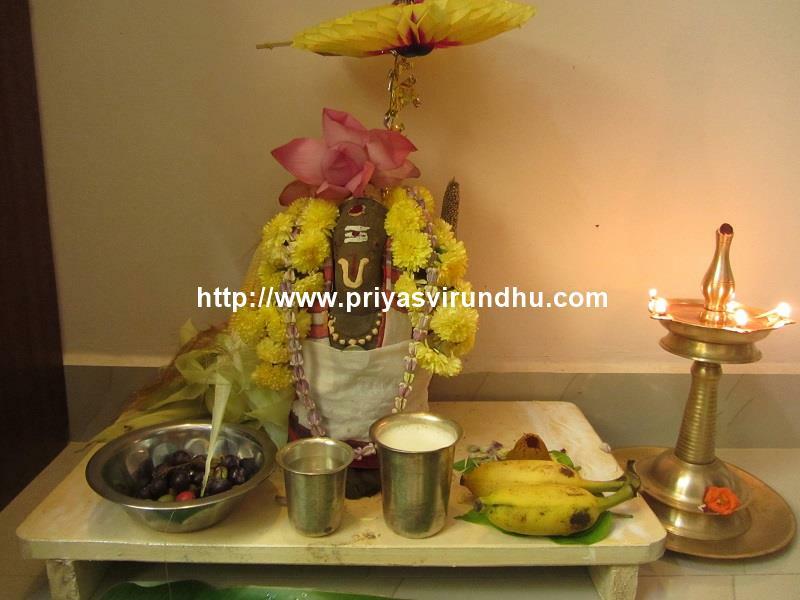 “Aadi” is a very special and auspicious month in Tamil calendar, when special poojas are done for Amman. 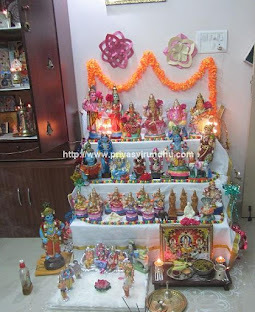 Special neivedhanams are done for Amman like sweet pongal and beautiful decorations done and special poojas conducted throughout the month. 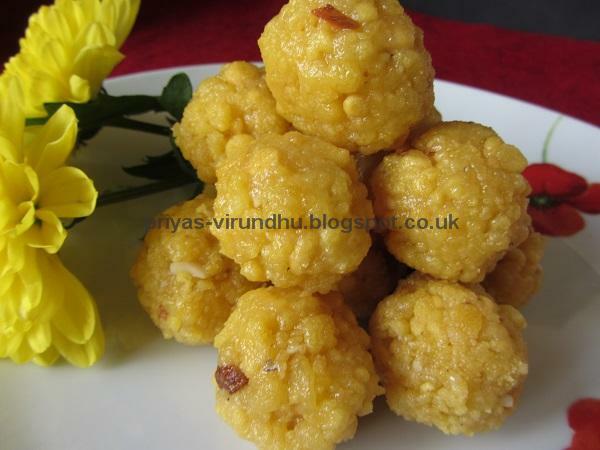 During the month of Aadi, the tradition of making Kezhvaragu Koozh for Amman and distributing to everybody is very famous in Tamil Nadu. 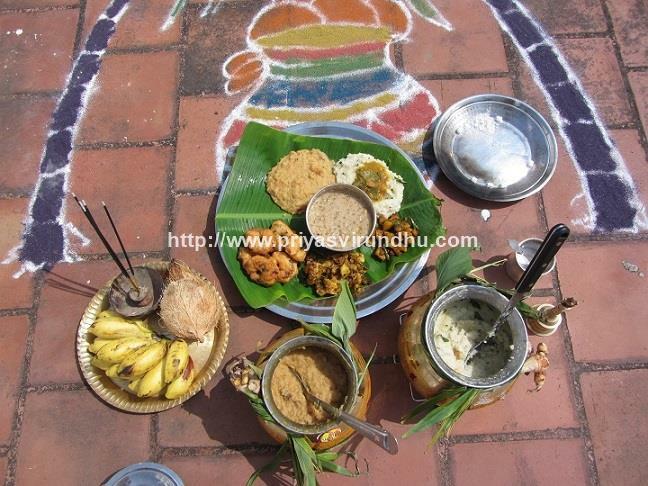 Since my parents are from Thanjavore, the tradition goes by making rice kanji, paanagam, neer mor, maavilakku, drumstick leaves poriyal and offering special prayers to Amman and then distributing them to everybody. 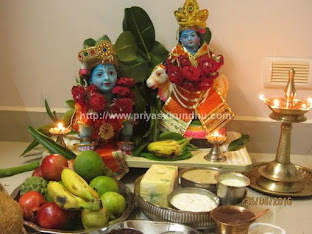 But in my MIL's house the tradition goes by making Kezhvaragu Koozh, pidi kozhukattai, mochai kottai kara kuzhambu with karuvadu, drumstick leaves poriyal, thullu maavu and offered to Amman as neivedhyam. Usually the Kezhvaragu Koozh and rice kanji are all prepared in large scale and distributed to atleast 30 to 50 people or even more.